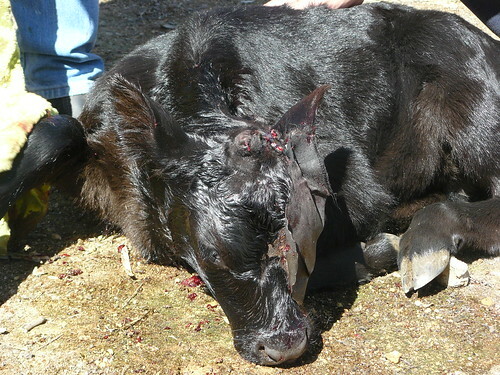 This is a rare case and I actually did not see this calf myself. 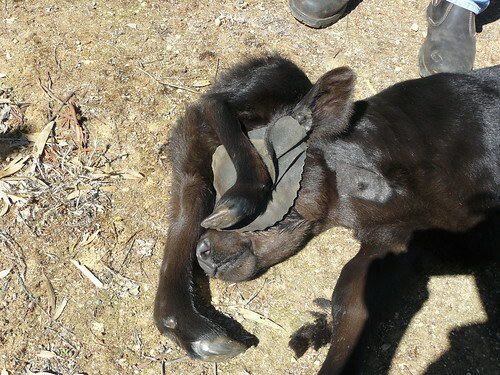 This little calf was born alive with a major abnormality: an extra set of legs attached to his own head! 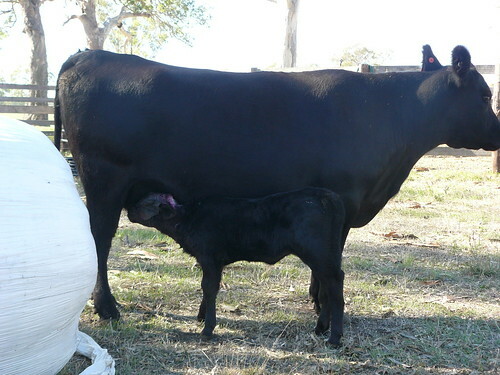 There are a few calves that are born with a variety of such abnormalities but most of them usually die a few days after birth. I mean check out the picture below, it clearly reflects his lively spirit! My colleague Tony at Naracoorte and Penola clinic dealt with this case and was kind enough to share the pictures with me at work. I applaud him for his efforts. 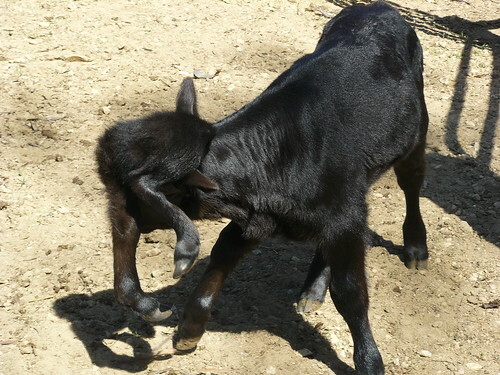 I also totally connect with the owner of this spider calf who chose not to simply give up on him. Tony thoroughly assessed the case and discussed all the risks with the owners. They both agreed that this little guy would be happier without those legs attached to his head. 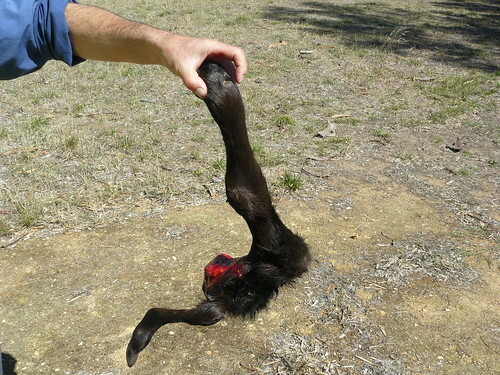 They proceeded with a field anaesthetic and surgical resection of the attached legs. It was success! I am sure mommy cow was relieved to have her cosmetically modified calf suckling from her without also giving a big kick too! Check out the little guy suckling from his mom after his surgery. This case is just quite an eye opener. It explicitly shows you that you can never truly be mentally prepared to deal with all cases especially rare deformities. The most important thing is that when you are confronted with it, you do your best to learn from it and put on your best performance. Animals and their owners count on us in those challenging circumstances. Tony definitely rose up to the occasion in this particular case. 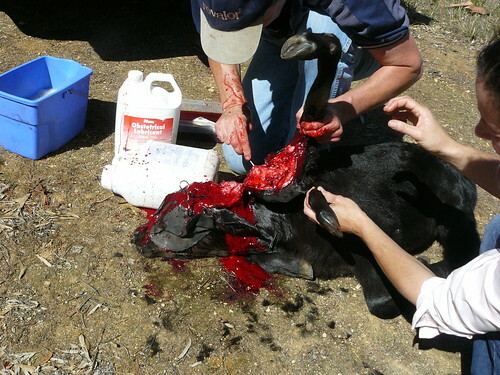 This case reminds me of a few of my very challenging calvings in South Australia. 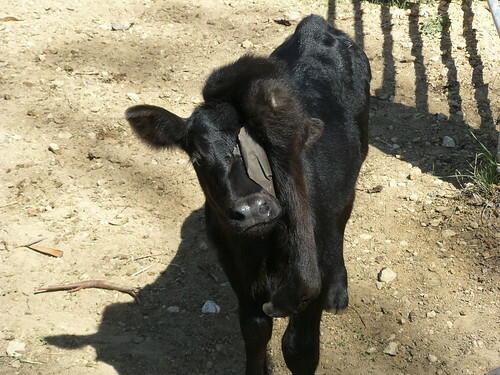 I was pretty unlucky in getting called out a few times in my first year out as a veterinarian to calving dystocias associated with deformed calves. 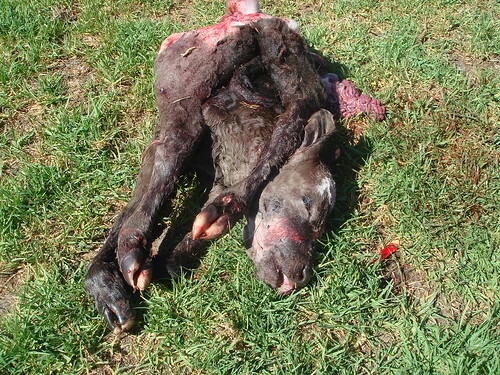 These abnormal calves were referred to as schistosomes: their gastrointestinal tract grew outside their body, their spine was so deformed and all four of their legs were pointing in one direction. They were supposed to be RARE as in my cattle professor/vet had only seen a handful after 40 years of being in practice. I saw maybe 4 in total over my first year out! The most practical and easy way to get them out is via a c-section and that can still be quite a difficult task. 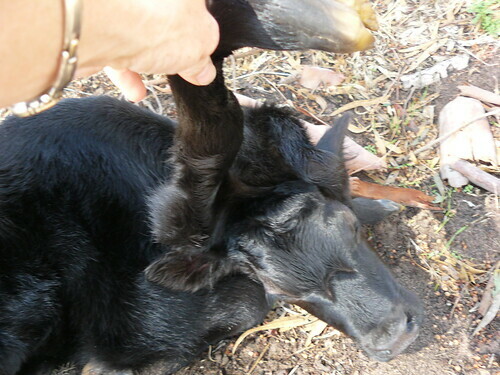 Some vets have successfully gotten those calves out via embroytome (cutting up the calf and pulling it out of the cow in pieces). Personally I preferred c-sections. Below is a gruesome picture of one of my schistosomes. The great thing about me getting so many rare cases early on in my career is that now nothing can really phase me! I am ready to tackle any case no matter how quirky or challenging or mind boggling it is… You live and you learn! I agree it is not a pretty sight. You would expect this to be part of a thriller movie. may I send you a photo to “our” wildlife cat which has an abnormal ulcer close to her eye? of course you can. please post the picture on my Facebook page. good luck in getting a good photo. Eyes are delicate and so if you have concerns with your cat’s eye, then you should take her to your local vet as soon as possible. If the eye problem has been long standing, then it is worth posting me a picture so I can point you in the right direction. Unfortunatley a picture alone may not suffice for me to give you an accurate diagnosis.